Asthma patients are paying ‘unfair’ prescription charges for medication they need to stay alive, a leading charity has said. Three-quarters of asthmatics who pay for their prescriptions said they struggle to afford them, a survey by Asthma UK has revealed. As a result, many are skipping the drugs and are suffering an asthma attack and even ending up needing emergency care. 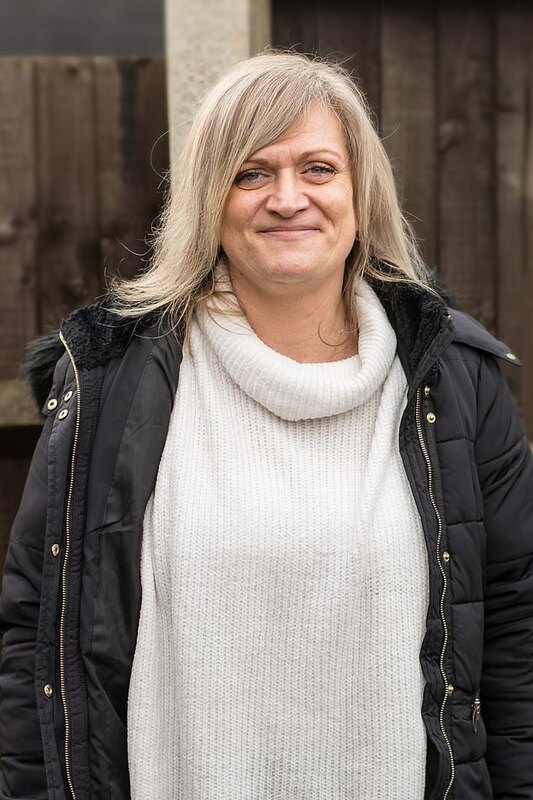 Cathy Worboys, 49, from Hertfordshire, said her 19-year-old daughter Holly, who worked as a waitress and was on a low income, died because she couldn’t keep up with the costs of her asthma prescriptions. Asthma UK said the charge, which applies to people with asthma in England of working age and in employment, is ‘outdated’. Dr Samantha Walker, director of research and policy, said: ‘It is unfair that millions of people with asthma are getting a raw deal, paying unfair costs for their medicine just to stay well. No-one should have to pay to breathe. ‘Asthma is a serious condition that kills three people every day in the UK and the best way for people to stay well is to take their life-saving medication, often for their entire life. ‘When people are struggling financially they may feel they simply cannot afford to pay for the medication. The survey of 9,000 sufferers found that, of almost 7,500 who paid for their prescription, 76 per cent said they struggled sometimes or always to pay for their medication. And more than half (57 per cent) said they had skipped taking or been sparing with their medicines because of the cost. Of this group, around a quarter (24 per cent) said they had suffered an asthma attack after being sparing and 13 per cent had needed emergency treatment. Asthma UK is urging Health and Social Care Secretary Matt Hancock to add the condition to the prescription charges exemptions list so sufferers ‘no longer have to pay to breathe’. Prescriptions are free in Scotland, Wales and Northern Ireland, while those in England with long-term conditions such as diabetes and epilepsy are entitled to a medical exemption certificate to also avoid the cost. Holly Worboys died in January 2016 after suffering a severe asthma attack – her mother believes this could have been prevented. She said: ‘As Holly only had one dose of medicine left in her inhaler, even as she struggled to breathe she didn’t want to take it, saying she’d save it for when she really needed. ‘The horrific irony is that was the moment Holly really did need it. Asthma UK said the number of hospital admissions could be reduced if the charges were dropped in England, and has launched an online petition urging the Government to do so. The UK death rate from asthma has increased 20 per cent in the last five years and is among the worst in Europe, according to analysis published by the charity last year. Last month, they urged the NHS to work harder to offer asthmatic’s follow-up appointments after receiving emergency care. Nearly two-thirds of patients surveyed by Asthma UK who received emergency care after an asthma attack did not see their GP in the following two days – recommended by the National Institute for Health and Care Excellence (NICE) and the National Review of Asthma Deaths (NRAD). Experts and guidelines say that prompt follow-up care could prevent further attacks and reduce the risk of hospitalisation. HOW MUCH ARE PRESCRIPTIONS FOR PATIENTS IN ENGLAND? The cost of an NHS prescription will rise to £9 this year, the Government announced last week. Patients in England will, from April 1, have to pay an extra 20p to collect their medicines from a pharmacy. Experts scorned the price hike, which they said goes against the NHS’ public plans and could lead to patients skimping on vital medications. The cost of prescription wigs, bras and spinal supports will also rise, but prepaid certificates will stay the same. The Department of Health and Social Care announced it would raise the price of a prescription by 20p for the third year in a row. It said the cost had been added as part of a 2015 plan to make £22billion in savings and provide £10billion investment for the NHS by 2021. Prescriptions are free for NHS patients in Scotland, Wales and Northern Ireland. But the campaign group Prescription Charges Coalition called the move ‘extremely disappointing’.